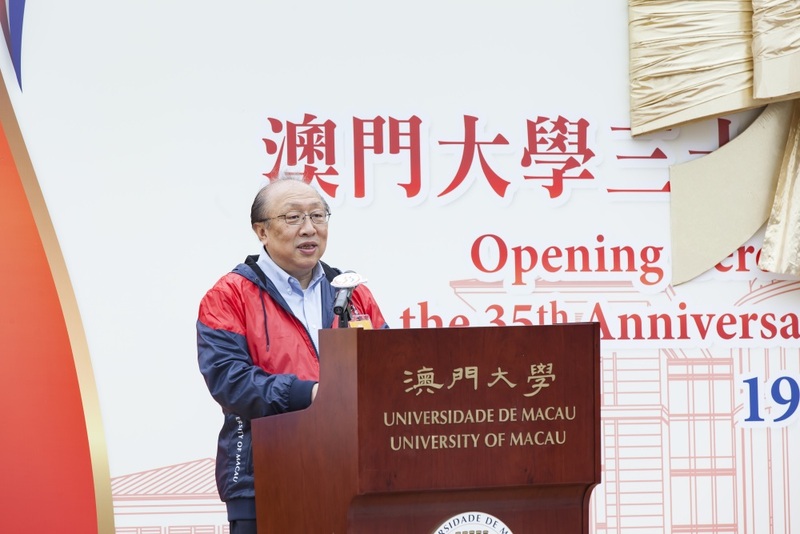 The University of Macau (UM) held an opening ceremony in its Lotus Square to kick off celebrations of its 35th anniversary on 19 Mar 2016. Many guests, students, faculty, staff, and alumni attended the ceremony to celebrate the important milestone in the university’s history. 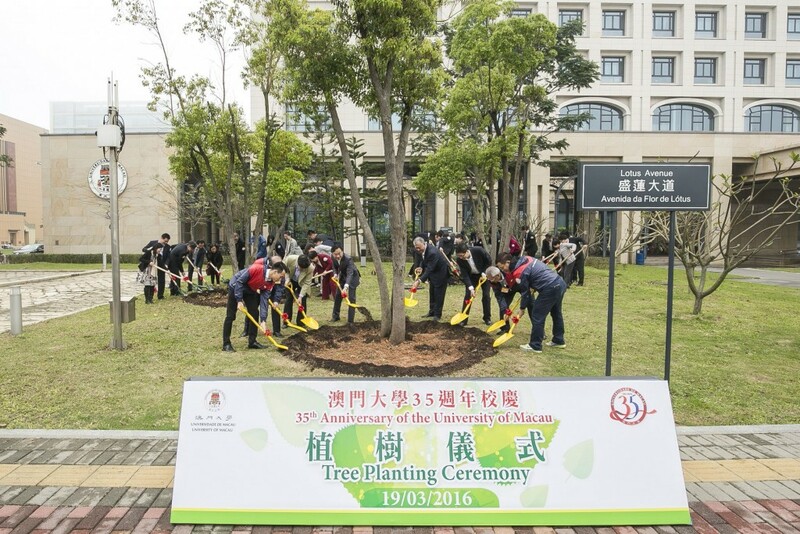 35 local secondary schools donated trees to UM to celebrate the anniversary. 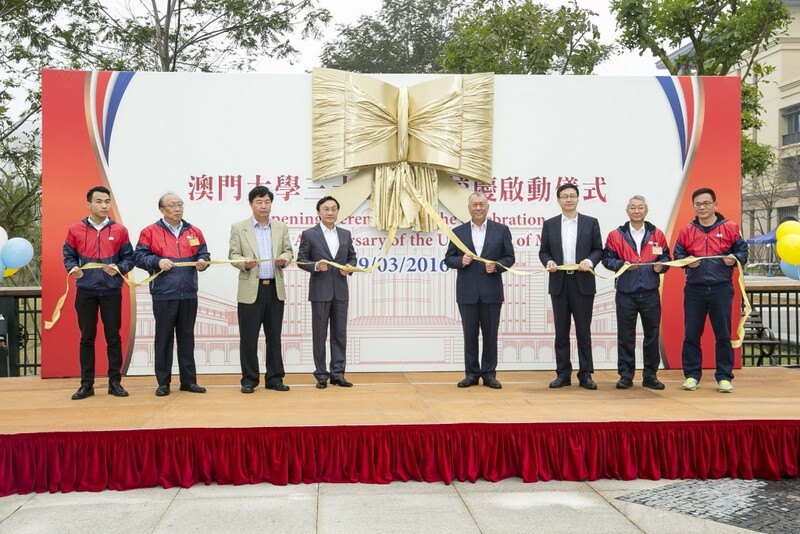 Officiating guests at the ceremony included Edmund Ho Hau Wah, vice chairman of the Chinese People’s Political Consultative Conference National Committee; Tam Chon Weng, secretary for social affairs and culture and representative of the chief executive of the Macao SAR; Sun Da, deputy director of the Liaison Office of the Central People’s Government in Macao SAR; Cai Si Ping, deputy commissioner of the Ministry of Foreign Affairs of the PRC in Macao SAR; Lam Kam Seng, chair of the UM University Council; Wei Zhao, rector of UM; Kot Man Kam, director general of the UM Alumni Association; and Vitor Wong, director general of the UM Students’ Union.